Splash away the mid-summer heat with a waterfront camping trip. Pitch your tent on the shore, spend your days wading in the lake, and finish the nights with a cozy fire and s'mores. Your essential camping items don't have to be expensive. For $10 or less you can get all of the most important items. Summer is the best time to camp and the hottest time of the year. Avoid discomfort with the right gear and a little creativity. Check out just a few of the many ways you can have a fun and memorable spring break without too much hassle. When you head out to camp this summer, leave the "stuff" behind and embrace the great outdoors with these games that are fun for all ages. Parents, use this handy guide to get through many commonand sometimes messysituations when you're camping with kids. Here’s where to start planning for your family camping trip, plus tips on meals, activities, safety and more. These simple tips will ensure that your tent stays shiny and clean and in good working order. Use our first aid supply list and handy tips to make your own first aid kit for your next camping trip or outdoor adventure. As you set up your outdoor kitchen, consider the following important tips for safe and effective camping food storage. Bring your family closer to nature and closer together at these familyfriendly campgrounds across the country. Covering basics and beyond, keep these lists handy when you head out on your next family camping trip, so you can be sure you haven’t missed a thing. From camping classics to customizable treats, there's a recipe for everyone on our alltime favorites list. Camping is a fun and challenging family activity. To keep everyone safe, it's important to follow these camping safety rules for kids. Pack up your things, and head to Bryce Canyon National Park. These kidfriendly activities make it easy for everyone to have an awesome time. 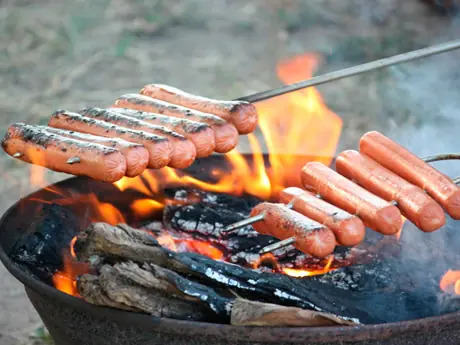 Planning a crowdpleasing menu for your family’s next camping trip is as easy as five simple steps. Family camping is both challenging and rewarding, and there are a lot of details to consider, from gear to meals to safety precautions. Janet is an award winning camping and outdoors author and regularly contributes mouth-watering campsite recipes.